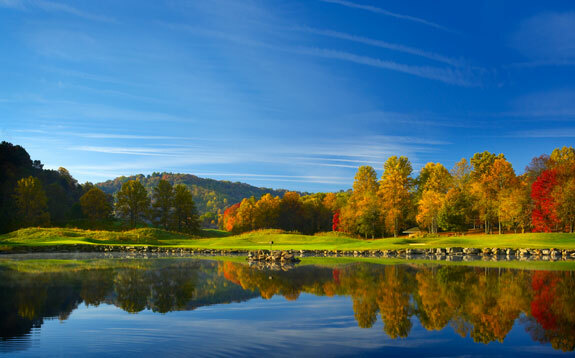 The fall beauty of the rugged mountain terrain of West Virginia is something to behold and to be fortunate enough to revel in these spectacular surroundings while playing golf on one of the country’s top rated courses makes for a bucket list experience. 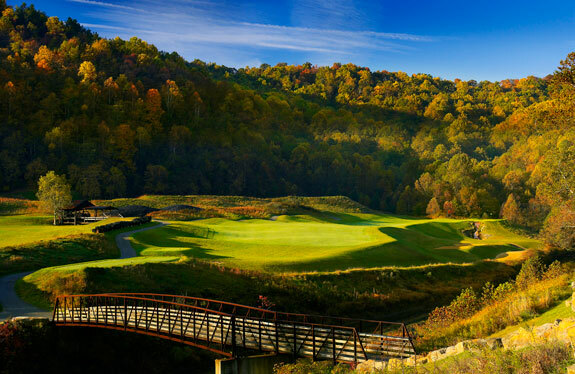 The Pete Dye Club is located minutes off the I79 in Bridgeport, WV at the north end of the state and was skillfully crafted by Pete Dye on the site of an old abandoned coal mine. 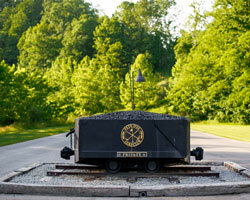 The club's story began in the late 70’s when the LaRosa family purchased some 500 acres of coal-mined property. 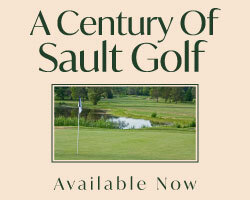 Together with Pete Dye, they embarked on a decade long odyssey to mold this spent piece of land in to the world class golf course we see today. The course is a feat of imagination and the areas coal mining heritage is visible throughout the property, as is evident from the second you pass by the coal laden coal-car that stands sentry at the gates of the property, to the scarred cliff side walls, old mine shafts and coal mining paraphernalia that can be seen around the course. Dye’s layout will challenge the skilled low handicapper with a hardy test from the back tees demanding equal parts length, accuracy and short game deftness. By the same token, the intermediate golfer will really enjoy a round here if played from the appropriate distance for their abilities. The routing presents a collection of challenging holes, with many requiring strategically placed drives, while others demand the long ball and special attention must be taken on the approach shots to these devilishly sloping green complexes. Superbly conditioned, the course flows effortlessly over the mountainous terrain, however, the elevation changes are not as severe as one would expect from a mountainside course. Well placed sentinel trees, great use of ponds and the meandering creeks that flow through the property will greatly influence shot selections throughout the round. Simpson Creek winds through the property and can have a tremendous impact on your scorecard on holes 2, 5, 10 and 18 as the creek plays a significant role in their design and must be navigated or avoided for a good score to be posted. Holes 2, 10 and 18 requires solid drives diagonally over the Simpson to set up the approaches to heavily protected putting surfaces. Collectively these holes represent a monstrous 1446 yards worth of par four real estate. The creek is ever present down the entire right side of the par 5, 5th hole culminating with an undulating green site perched above its banks. There is no margin for error on any strokes on these four holes and they have rightfully earned their 1st through 4th handicap rating status. As awesome as the above mentioned holes may be, in addition to the many other noteworthy holes at the Pete Dye Club, I opted to nominate holes 4, 9, 15 and 16 to our shotmakers collection. The 4th is the first of the short holes. Measuring 113 to 227, it is a test from any distance requiring a tee ball to skirt the pond that runs from tee to green on the left side to a wavy green complex that wraps around the end of the pond. A back left sucker pin position necessitates a shot of a 230+ yard carry over the water from the back tees to a portion of the dance floor that falls away to a collection area. Only the bravest , or foolhardy, will attack this pin locale. The front side home hole is a beastly par 4 weighing in at 497 yards. Your Sunday best drive is required from the elevated tee across Simpsons Creek to a generous split fairway followed by a crisply spanked fairway wood or utility is needed should you hope to reach this false fronted elevated green site in regulation. The15th hole is a wonderful par five where a combination of brains and brawn is required to conquer the hole. Two ponds skirt the entire inside of this gentle dogleg right hole with the green site perched atop a rock wall with a shear drop to the water several feet below. The ideal drive requires a left to right ball flight challenging the inside corner of the dogleg while the dreaded straight ball will find a well place bunker through the fairway. A nothing less than perfect approach will find the putting surface for those brave enough to give it a go in two. At 246 yards the 16th is the longest of the three pars and requires a well struck long iron or utility from an elevated teeing ground downhill to a green complex that is protected by massive bunkering on the right, mounds on the left and trees long. The green is of the sloping variety with bumps and spines making two putts from outside 20 feet a challenging endeavour. The Pete Dye Golf Club is a special and unique place so while you find yourself travelling the I79 through West Virginia this fall do yourself a favour and make arrangements for a detour in Bridgeport for some time well spent in coal country. 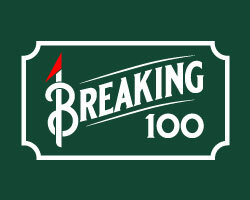 Although the course is a treat to play, and you will likely have the place to yourself, it is a tough track so don’t try to bite off more than you can chew by marching to the back tees or you will be in for a really long day -Play an appropriate set of tee. The club is now part of the Pacific Links Group and offers reciprocal privileges if you are a member of a private club and the onsite accommodations at the Black Diamond Lodge or cabins are ideal if you want to park it overnight before heading on down the the I79 to your next tee time.